So every week I get an update from Travel Zoo of their top 20 deals. And every week I check for a deal for Scotland....and every week I'm disappointed. 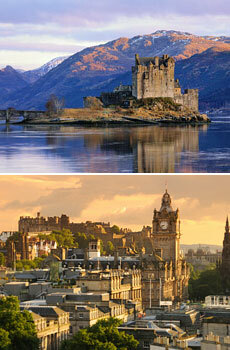 6 nights in Scotland in Spring for $699 (from NYC). Two nights in Edinburgh, two nights in the Highlands, two nights in Glasgow. WITH a rental car and round trip flight. You cannot beat that deal with a stick, lads and lassies. Saw that too and priced it. Total for two people from JFK and going in June (with taxes and such)--about 2200 or so. Not bad. What a sweet deal!! There also doing a giveaway at PBS for a trip to England. You can enter everyday if you want. http://www.bbc.co.uk/go/rss/int/news/-/news. It's not Scotland, but it would be so fun! And another random thought that has been in my head with re-kilting and wanting a mini-series or movie to be made in the right way. And without sounding like a brown noser or sucking up! I really think you and Tracy should consider writing a screenplay. I AM SERIOUS! K just hear me out on this. You both have a way with words, excellent writers. 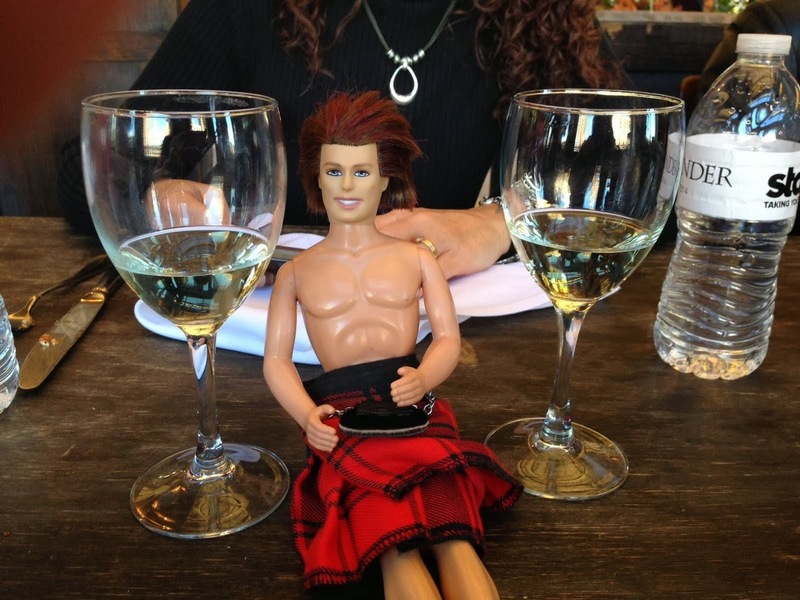 You have a love of Outlander and I know you would be true to the story. And with this blog you would have awesome feedback, if you choose to use it. Although, I think you would do fine on your own. I think you should hurry and get on it ASAP. Then submit the screenplay to Diana, so that she could put it forward when negotiating the rights to make the movie or series. That is if she likes it. But seriously, think about. What have you got to loose!? And then when your at the Academy Awards excepting your Oscar for the Best Screenplay. All I want is for you to thank me for giving you the idea to do it! Haha.I say Haha, but I really do want you to mention my name. What can I say I'm vain. And I don't have the brain power to write a screenplay, and your the only ones I would trust to not botch the whole thing up. So will you get on that please? I really am serious ;-) What do ye think fellow bloggers? I think they could totally pull it off. OMG Angela you are so nice!! Sadly, I am mos def NOT a writer of fiction. The thought of writing a short story, let alone an entire screenplay, scares the bejesus out of me. IDEAS for movies, I can do. I have quite a few of those under my hat (as does Carol). I am definitely the "story by" rather than the "screenplay by" kind of lass. Angela you are SO sweet for saying that... and what's interesting is that yesterday - while you were making that comment - I was at my neighbor's (who is a screenwriter) getting a lesson on screenwriting. Weird! Having said that, I am definitely not capable of writing an epic type of film like Outlander. I do have an idea and lots of notes for a comedy... and have passed it by a director who told me I "really have something there" but there is little to no depth to the thing...because there is little to no depth to any possible writing talent I might have! Ha ha! And Julie - that is definitely a fun idea! But unfortch, Diana Gabaldon is very against "fan fiction" so we'd have to respect her wishes and not do it. Ok, Am I crazy for considering taking a 4 and 6 year old with us on this trip? This is seriously the BEST deal ever. And hubby and I were actually talking last night about how we need to start taking some vacations across the ocean. It's sort of a long story but I wouldn't be comfortable leaving them and going to Europe on our own at this point. The kids are good travelers and have been on planes before. And I think our almost 7 year old would be super excited but how realistic is this really? We've always wanted to become "world travelers" with our kids but we didn't plan on doing it this early. The price is just perfect, the timimg is great.... I just don't know?!?!?! Help me lassies! Oh...I just saw on the details that it says package is available for 1-2 travelers so what does that mean for a family of 4? I emailed them to find out! See Carol it's a sign!! First, I really am not being nice. I think with the both of you, it would be spectacular! Obviously, I have no idea what goes into writing a screenplay. But it seems to me the content is already there in the novels. You would just need to lay it out in a script. Again, I'm sure I'm very niave with all that goes into a screenplay. As for Diana, "doesn't like fan fiction." What does that mean exactly? Is it where they take her main story and add their own twist on it? BTW-Carol that is so awesome you have written a comedy! Way cool! Sorry to take up your comments room with all my long winded post.Sheesh. I think I've mentioned before I am the queen of run-on sentences. LOL. Brandy you are TOTALLY echoing my words. Mine are 6 and 8 and I want to take them to Scotland this summer...and my husband thinks they might get bored. And he's got FAMILY there we could hang with! I don't think they're too young as long as you think they'd do OK on the long plane ride. I found a website a while back that talked about things for kids to do in Scotland; I'll find it for you!